On the Day: At race venue from 4am - 10km & 5km races only. Please Note: There will be no collections or entries taken at the race venue the day before the event (Saturday, 2nd March), it will be at the Sportsmans Warehouse The Palms in Vanderbijlpark. points and on the day) or hire (R 50.00 - online entry only). - No hiring ChampionChips on the day. ​- No refunds on fees paid. 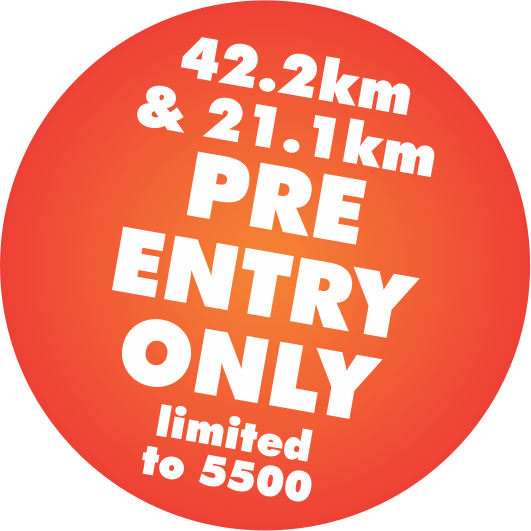 The 42.2km & 21.1km are PRE-ENTRY ONLY events and no entries will be sold the morning of the race. R 10.00 from each entry of the 42,2km & 21.1km races and any additional donations received in the online entry process be donated to these charities.